Ghost of a Tale is an independent action-adventure and stealth video game developed primarily by game designer and DreamWorks and Universal Studios veteran Lionel “Seith” Gallat. The title was funded by a successful Indiegogo crowd-funding campaign which ran from April–May 2013, raising €48,700. An early version was released in 2016 on Windows PCs and the Xbox One as part of Microsoft’s ID@Xbox indie developer program. The final PC version version was released on March 13th 2018. Set in a dark medieval fantasy world, players control Tilo, a small mouse minstrel who must make his way through dungeons and lands full of danger while uncovering mysteries of the past. Wikipedia®. 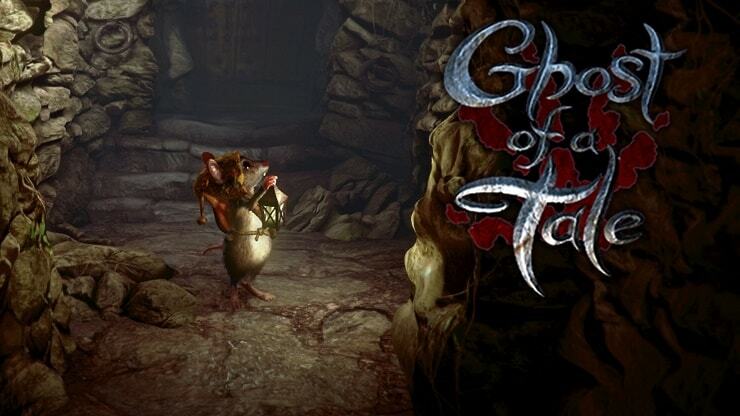 Ghost of a Tale is an action-RPG game in which you play as Tilo, a mouse and minstrel caught up in a perilous adventure. The game takes place in a medieval world populated only by animals, and puts an emphasis on immersion and exploration. It features stealth elements, disguises, conversations with allies and enemies, and quests. You’ll be able to explore the secrets of Dwindling Heights Keep and navigate its dangers. Tilo is not much of a fighter, so stealth and nimbleness are your allies when confronted with enemies twice your size. Talk to the characters you meet and leave no stone unturned in your quest to find Merra, your true love…. About the team: Ghost of a tale is developed by a very small team. Lionel “Seith” Gallat does 90% of the art, design and coding. Paul Gardner is the game’s writer and an experienced game designer. Cyrille Paulhiac does coding and develops tools. Jeremiah Pena is the game’s composer, while Nicolas Titeux is responsible for sound design. Trainer for the game Ghost of a Tale, you can use it to activate these essential Cheat Codes: Infinite Health, Add Florine, Add Reneown, Super Speed, Gravity Mode, Stealth/Invisible. Note: This cheat tool is for the original version v6.39 (Steam) of the game Ghost of a Tale.